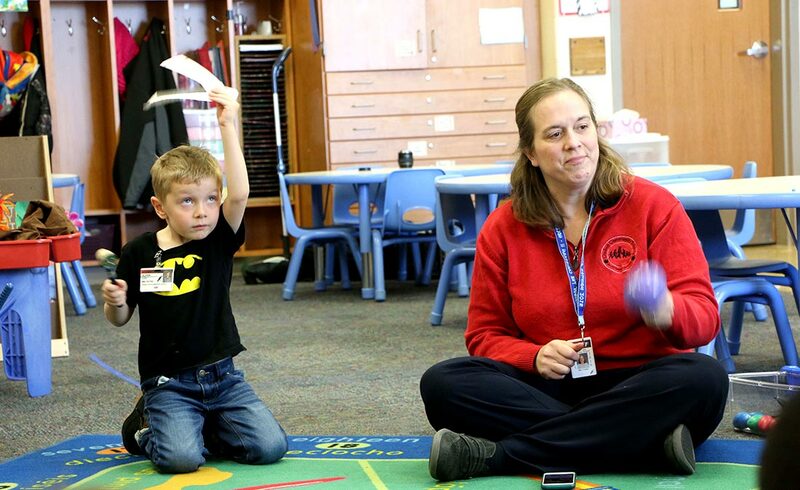 Natalie Potter and Sheri Davidhizar, teachers at Goshen Community Schools’ Title I preschool program at Prairie View Elementary School, spent one winter morning gathering snow from the playground into buckets to haul inside. They dumped the frozen white stuff on a table in the classroom so that their students could do something they may have never done before: play in the snow. 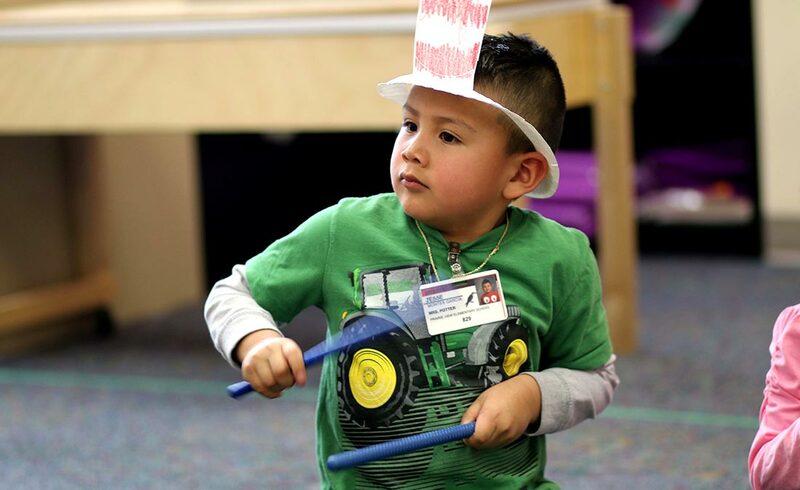 Potter and Davidhizar’s students are ages 4 to 5, and many of them have parents who work up to three jobs. 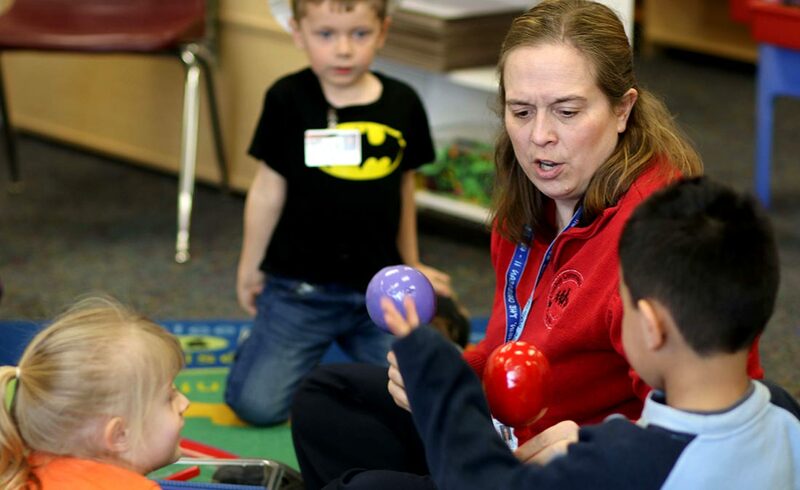 The preschool teachers’ job is to give the children time to play, experience new things, and learn how to interact with both adults and other children their age. 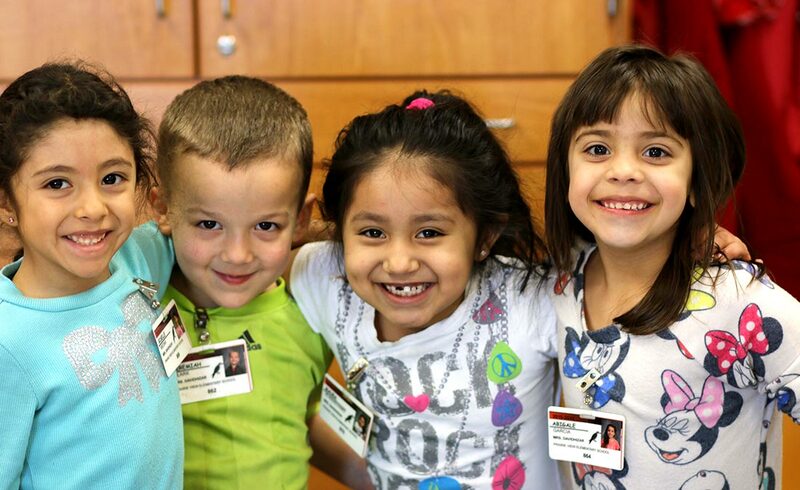 Preschool is a student’s first experience with school — and many parents’ first experience having a child in school, as well. 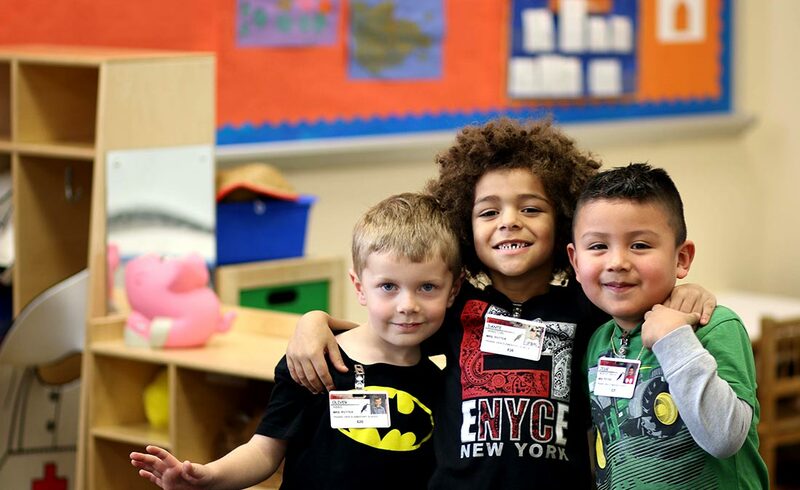 Potter and Davidhizar focus on connecting with families, and supporting them by addressing any questions or concerns they may have as their child transitions into school. “We want to let them know that Goshen Community Schools is here to help families,” said Potter. This support extends far past the classroom. Both Potter and Davidhizar give their phone numbers to parents, openly inviting them to call or text at any time. Last year, Potter had a student whose transportation fell through with only a month and half before the end of the year. Instead of letting the child fall behind, Potter gave him home lessons every Friday for the rest of the school year. In the spring, he was able to attend the preschool graduation alongside his classmates. Potter and Davidhizar don’t have to go above and beyond — they want to. They do it because they believe in their students and parents. 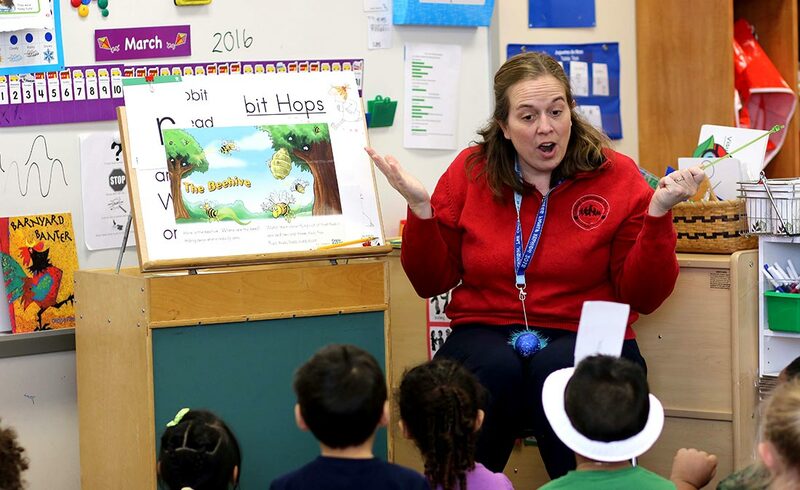 Incorporating preschool programs in school districts is becoming more common, said Potter, due to a national emphasis on the importance of early childhood education. 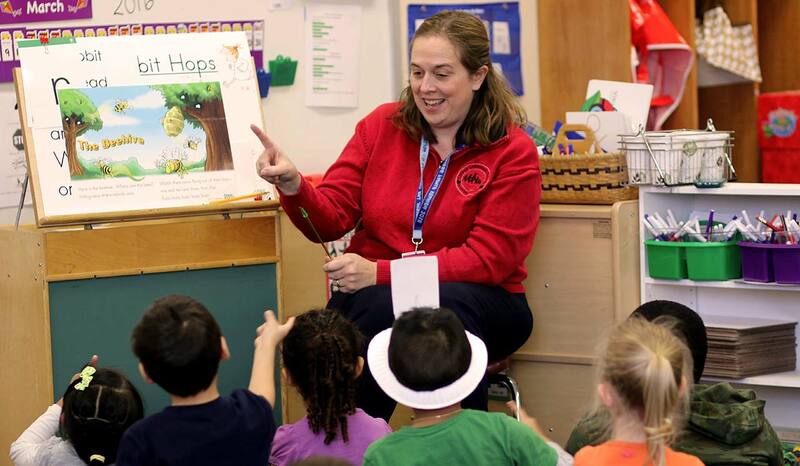 “One popular statistic is that, for every dollar you invest in early childhood education, you save between seven and eight down the road that you’d be losing on services like reading programs or summer school,” said Potter. 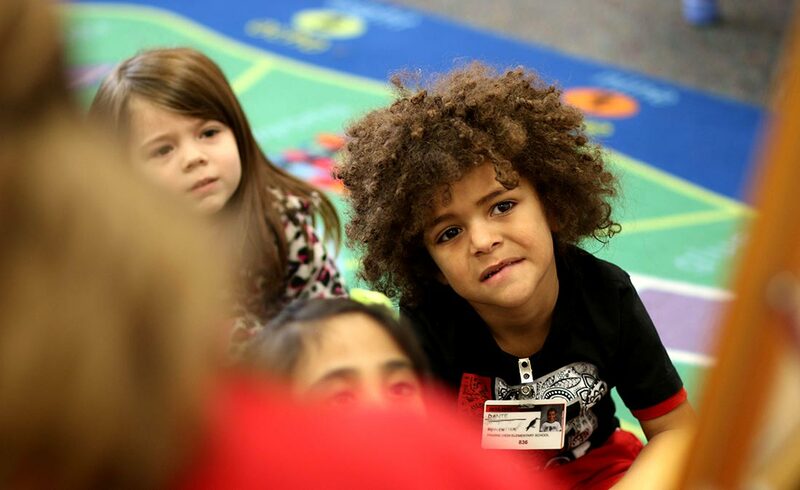 Goshen Community Schools’ preschool program has been in existence since 2012. 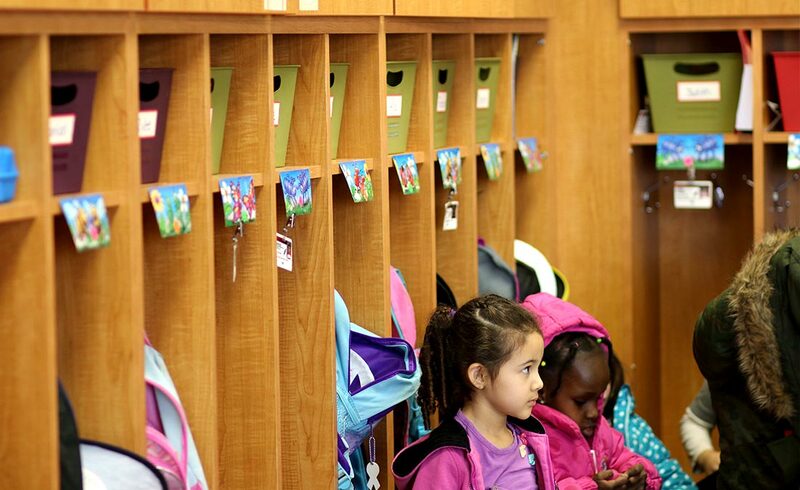 Each year, 68 spots are open to students in every school in the district. The students are split into four classes taught by Davidhizar and Potter. 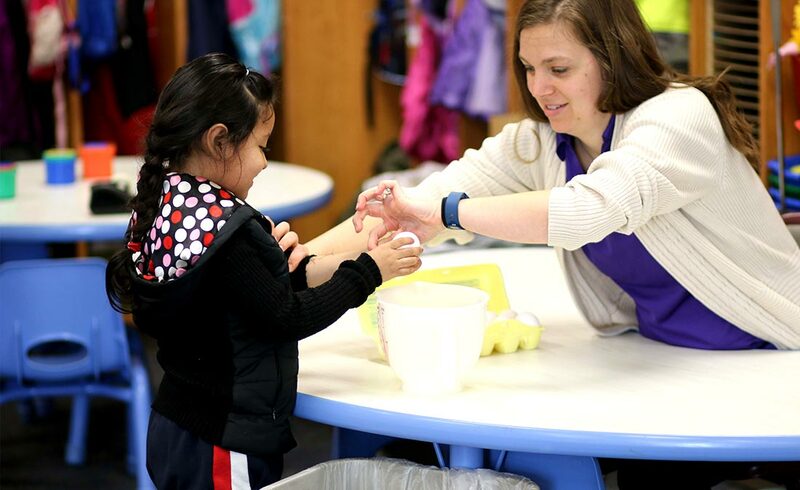 Though enrollment priority is required by the state to be given to students who come from low-income families, there are students with a wide range of skill levels and backgrounds in the Goshen preschool program. 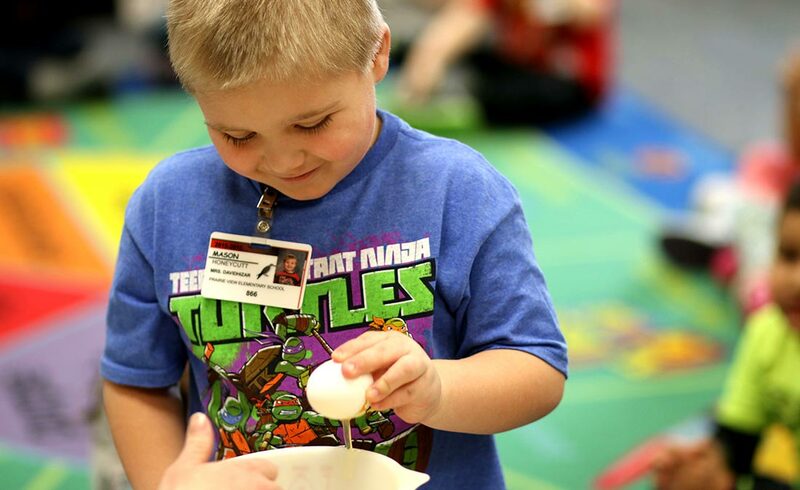 Every student is given one-on-one care. 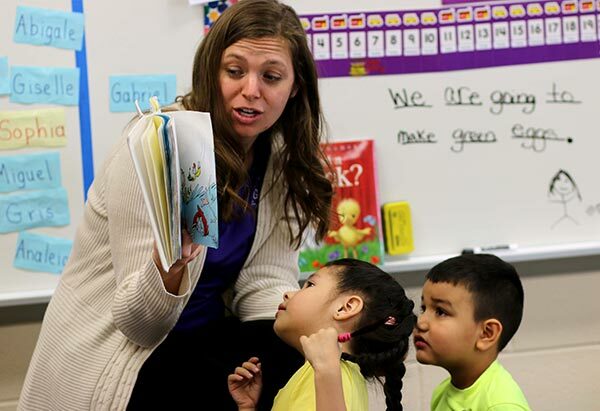 “Our teachers partner with parents to nurture the individual growth of each and every student,” said Mary Kay Longacre, Director of Grants and Assessments at Goshen Community Schools. 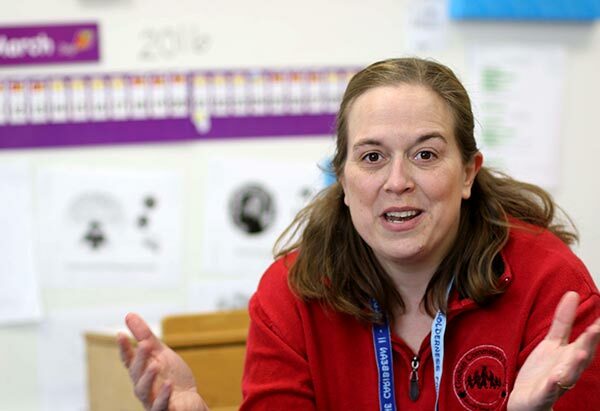 Longacre oversees the program and collaborates with the teachers and school principal. 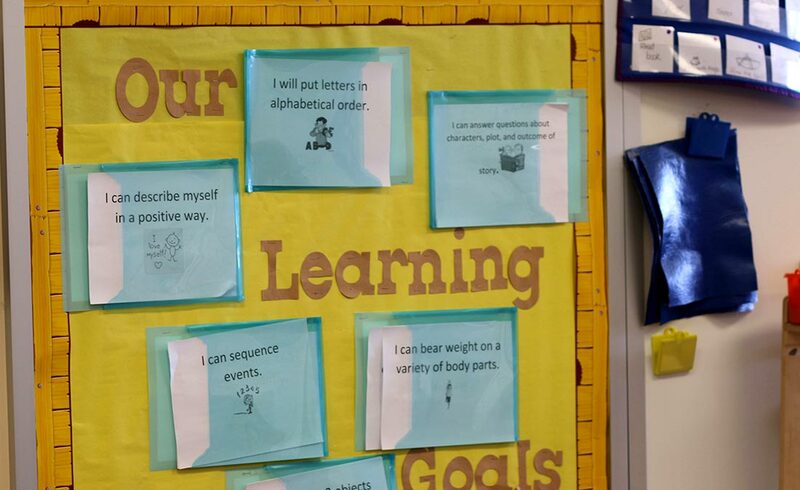 In addition to focusing on academic readiness, Davidhizar and Potter use a play-based learning curriculum called “Tools of the Mind,” which emphasizes improving language and social skills. Oftentimes, the most important academic activities at this age appear to be, on the surface, games. 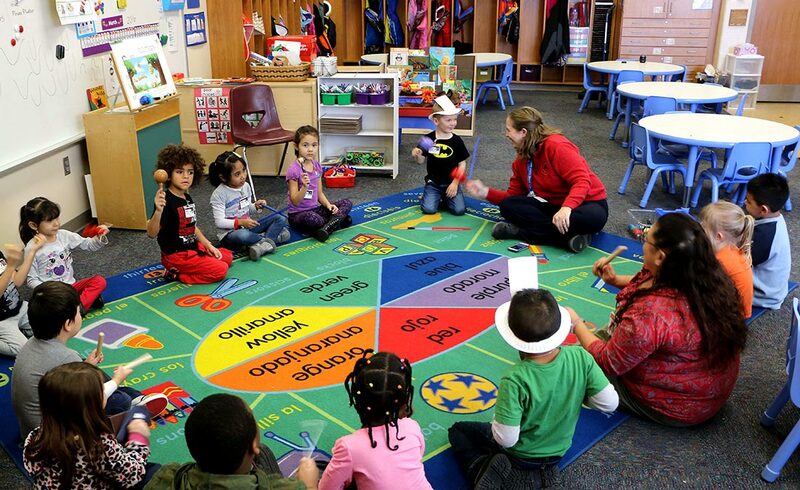 If you peeked into the preschool classrooms on a given morning, you’d see children playing “freeze dance” (or dancing until the music stops, and then freezing in a particular position). 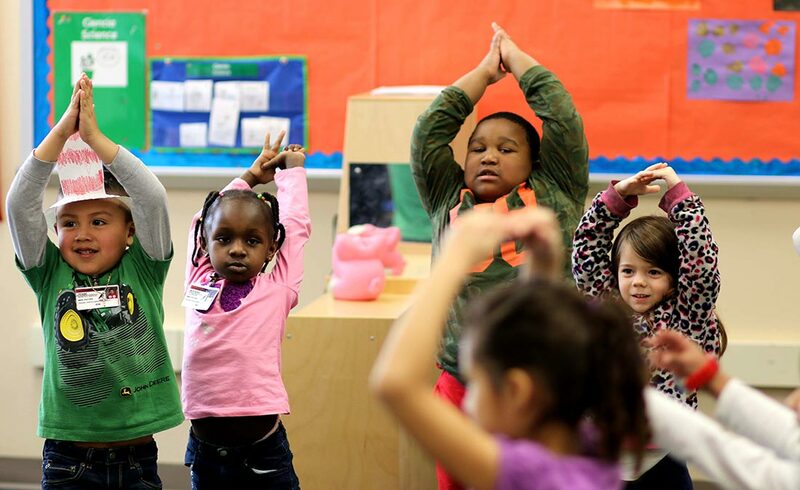 But through that play, they’re actually learning to listen and to improve mind-to-body coordination. Or, you’d see them playing pretend house or farm or store, and learning to socialize with their peers and understand different lifestyles. 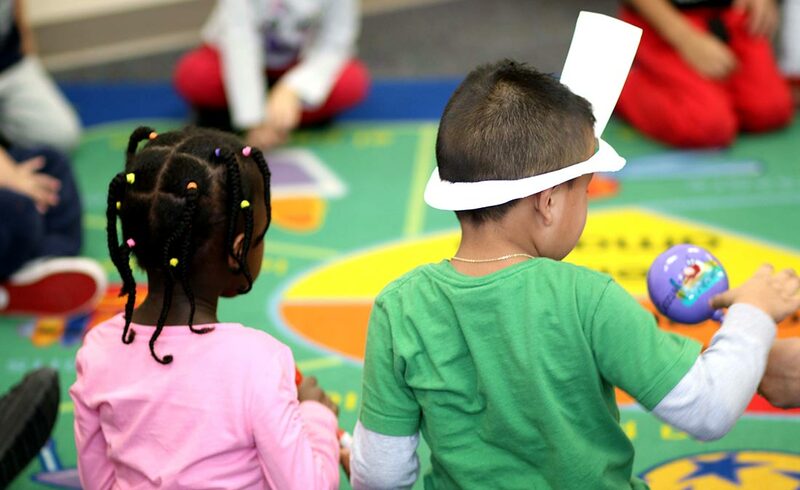 Preschool-age children learn at a rapid pace, so Davidhizar and Potter see progress on a daily basis. But naturally, not all children learn at the same pace. That’s why Davidhizar and Potter do their best to cater to each child’s specific needs. 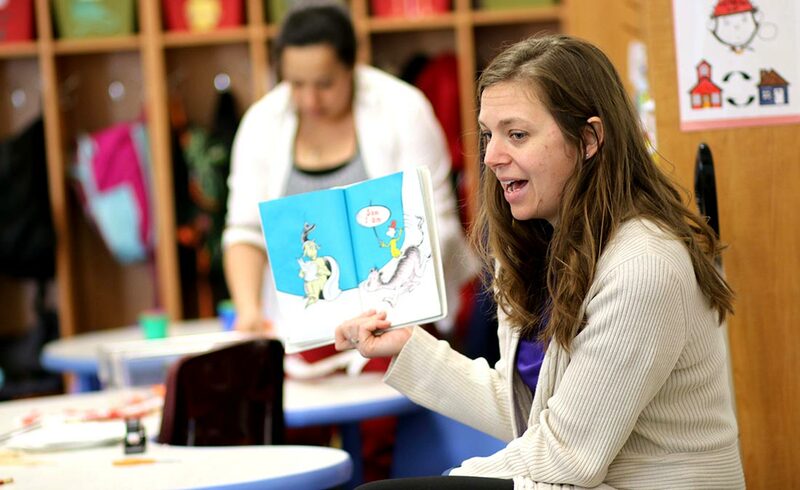 Not only do the teachers cater to each child’s needs, they offer feedback to parents, too. 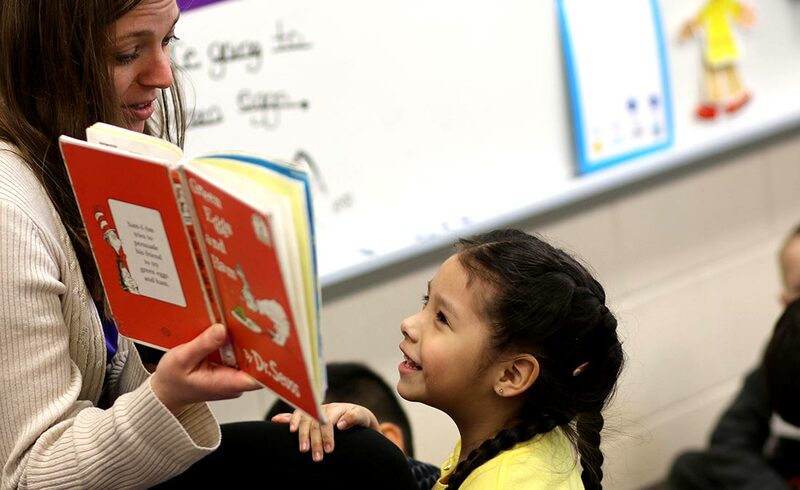 “Since many students start with limited English, we do our best to find what works best for them and their parents,” said Potter. 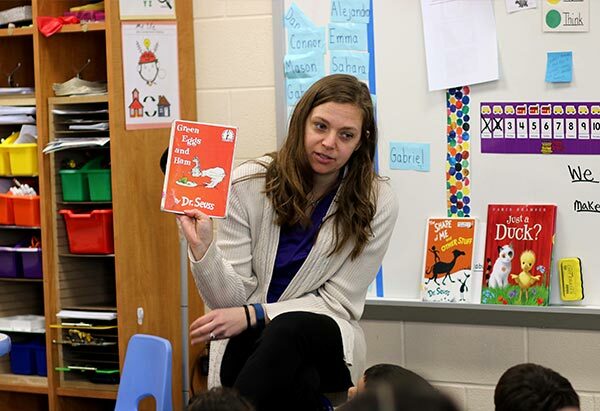 It’s a big job for two teachers, but luckily, the school district and the community are there to help.